Laos has spectacular nature and scenery, the country is also relatively untouched from globalization and you are guaranteed an authentic experience. If you would like to go travelling, backpacking, take a gap year or volunteer in Laos expect friendly locals, spectacular waterfalls, tasty cuisine and lots of amazing activities. Travel to Laos with One World 365 and search our amazing activities and trips. 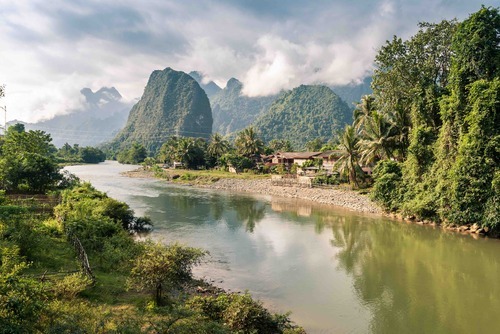 View travel advice on our guide including tips for places to go, the best packages available and get information about costs, accommodation, transport, health and safety and how to visit Laos on a budget. Laos is landlocked by Thailand, Myanmar, China, Vietnam and Cambodia and there are lots of border crossings making getting there easy. 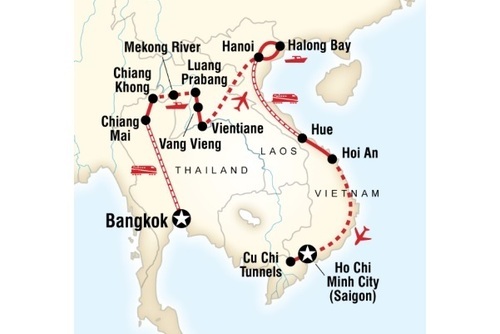 Most people book flights into Thailand or Vietnam and then either cross by land or an internal flight. Laos is also less touristy than it's South-East Asian neighbours which means there are more opportunities to get off the beaten track and escape the crowds. 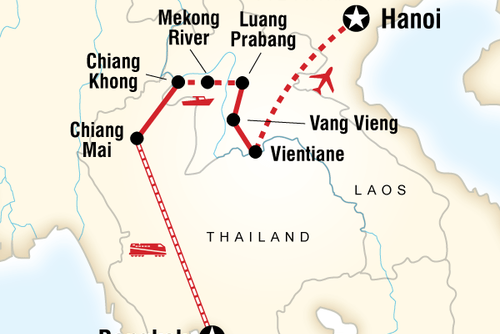 Laos may look tiny on a map but this country packs quite a punch. 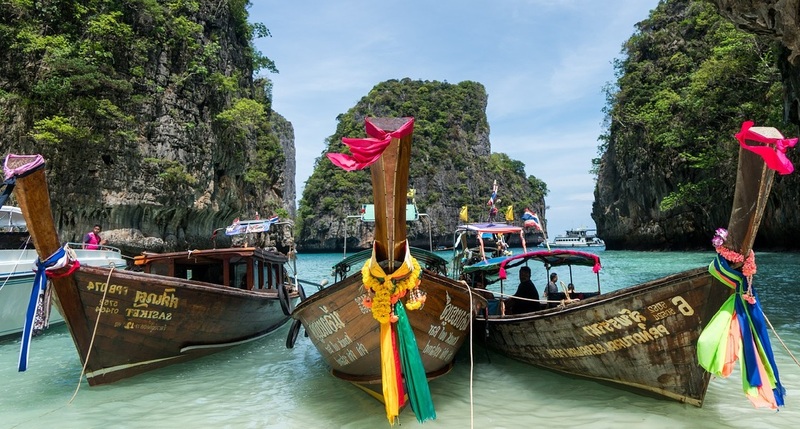 This country is one of the most up and coming destinations in Asia and rightly so, if you visit you will leave with fond memories of the people, culture and sightseeing attractions. If you are planning a holiday to Laos our unique trips will appeal to you. Whether you are a solo traveller, departing with friends or your family we have incredible vacations where you will be able to experience the vesy best places in the country. We have Laos holidays from the leading local and international specialist travel operators where you will get an authentic experience like no other. One of the must-see destinations in Laos is the beautiful town of Luang Prabang which was named the ‘best preserved city in South East Asia’ by UNESCO. There are many amazing sights in the area, such as the thousands of orange clad monks and their huge number of ornate temples and monasteries. You could go in search of adventure, enjoy sightseeing, join local activities, learn more about the culture or book a special interest break. One of the best things about Laos is you will get a much more authentic experience than other places in this continent - there are less tourists than going to visit other destinations in the region and big multinational companies do not operate within Laos. 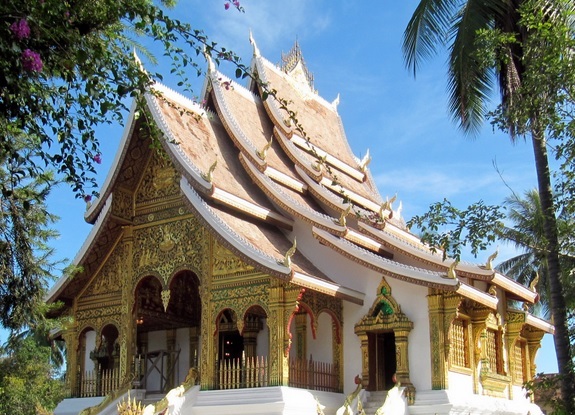 We highly recommend adding Luang Prabang to the top of the list of the places you should see. Laos is one of the friendliest countries to visit in Asia but there are lots of things to consider before departing. A first aid kit should always be taken no matter if you think you won't use it, you will also need to visit your local healthcare provider to check what vaccinations are needed. Ask yourself do you really need to take an expensive computer like a Macbook Air, watch or iPhone? Sometimes you run the risk of these things breaking or getting stolen so we recommend only taking a cheap electronics. Try not to pack all your valuables in once place, try to mix it up and put some in your bag / suitcare and carry some on you. Most cases of theft tend to happen on buses or in hostels and if you are really worried about safety you could buy a money belt, these look like a normal belt but have a secret compartment where you can keep money. We recommend not drinking too much alcohol, or be very careful accepting drinks and cigarettes from other travellers this might be drugged in extreme cases. A lot of problems happen due to drink, if you are sensible you shouldn't encounter any problems. 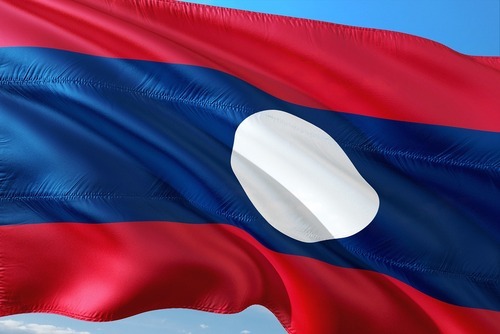 Laos is a popular destination for people on gap years in Asia, there are lots of programs and travel opportunities available all year round. You could take a gap year in Laos and volunteer working with communities or just travel to discover the country for yourself. 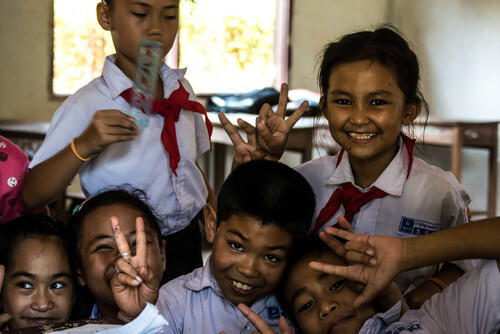 You can make a huge difference on a gap year in South-East Asia working with local youngsters bringing lots of fun and laughter to their lives. 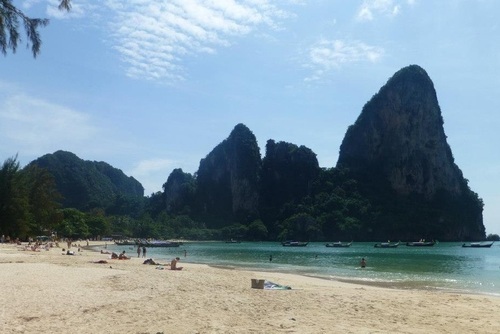 You could join a gap year trip and travel from the North to South and visit the four thousand islands which is a remote region on the border with relaxing guest houses and beauty spots. 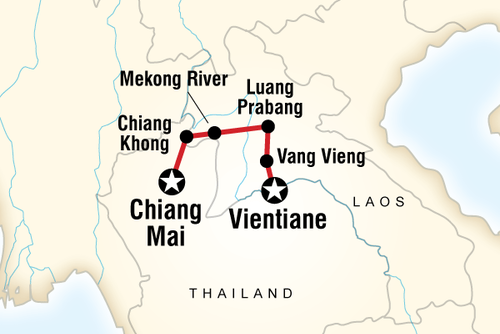 We recommend going tubing in Vang Vien or explore the stunning city of Luang Prabang. Vang Vien is a popular backpacker hangout, you can float down the river on a ruber ring which is the main attraction and a relaxing way to spend an afternoon. Visiting the Gibbon Experience in the North of the country is one of the highlights of the country, this is an area set up to protect wildlife and the forest where you can stay in tree houses which are connected by zip lines. This is a magical way to spend a few days and we can't think of anywhere else in the world which compares, you will need to book spaces in advance. By far the most popular way to experince Laos is on a small group tour where you will travel in a group with people from all around the world. You will be guided by an experienced guide and taken to the very best places in the country. If you are travelling solo and worried about meeting people we recommend joining organized tours, you will get to travel with other people and you will not be lonely. 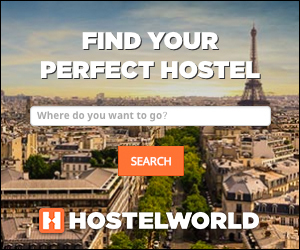 There aren't many hostels as such in Laos, most of the accommodation is hotels or guest houses so if you are traveling independently it can be difficult to meet people. Booking an adventure tour of Laos will also provide you with an authentic experience, you will be taken to the best spots in the country and eat at locally run cafes and restaurants - There are also lots of overland trips which can be booked through our website which will take you to some of the best places in the country, recommended places to visit include Lunag Pra Bang, Vang Vien and the 4000 islands. Most tours in Laos include eating at local restaurants and visiting places like the COPE visitor centre which is a fantastic charity that provides medical care and rehabilitation for victims of landmines. You are guaranteed the time of your life! Typical group sizes are around 8-18 travellers with an average of 12 but this can vary between the tour and operator. Most tours use buses and pulbic transport to get to each destination, accommodation can vary but generally you will stay in hostels, hotels and guest houses aswell as a local homestay. There are departures all year round and you can apply to join tours anytime. 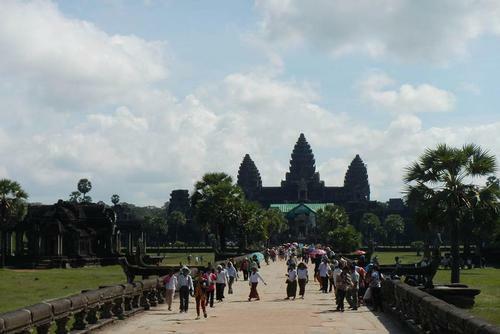 A lot of tours start in Vientiane or Bangkok, Thailand where you will meet your new travel companions and tour leader at a welcome meeting and optional dinner. 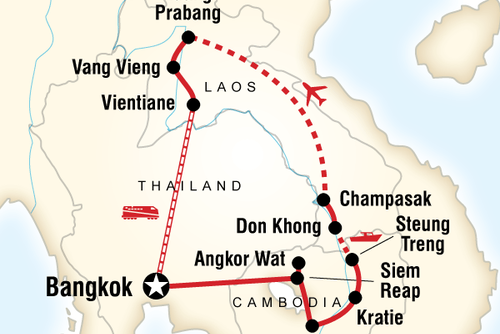 From Bangkok, you will travel North and cross into Laos. Start and finish locations vary depending on the tour. Some meals are included in the price you pay and food in Laos is famous for being tasty, be sure to sample the local tasty cuisine including 'sticky rice'. Food you buy during a tour e.g. snacks and alcohol will need to be covered by yourself. Our tours are perfect if you are travelling solo and would like to meet other people and travel in a group. You will get to meet other international travellers and get taken to the best locations in the country with an experienced guide. Most trips specifically cater for the 18-35 age group and are a really popular option due to meeting other people, getting day-to-day activities, hotel check-ins, selected meals, accommodation and also transport/guides included in the price. Don't worry if you are slightly older, most tours accept all ages. 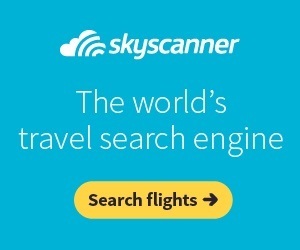 Some tour companies work with low overheads meaning they are able to pass the savings directly on to you with great prices and quality accommodation, transportation and tour leaders. The price you pay really depends on where you visit, how long you want to join for and also which level of comfort you want. Sometimes you might need to pay an additional local payment to pay for tips and in-country staff. Explore Laos on an exciting overland active cycling tour. 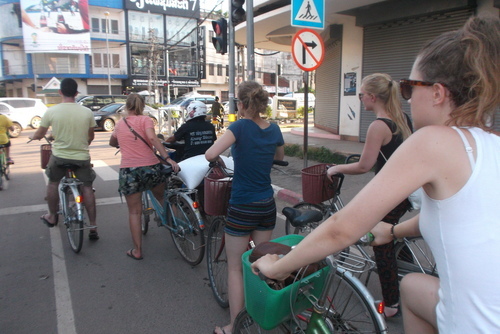 Some cycling adventures start in Hanoi (Northenr Vietnam) and then finish in Bangkok (Thailand). On cycling trips you you will usually travel in a small group of no more than 18 people and stop to see some of the best tourist sights on route whilst taking in some of the most spectacular scenery in the world. You will get to enjoy the hustle and bustle of cities and then experience laid back Laos seeing temples and ancient ruins. An average level of fitness is needed to join. The capital of Laos and a good introduction to the country. Most tours usually start here and you will get to meet your new travel companions at a welcome meeting before heading out for your first dinner together. The surroundings of the town are spectacular. This evening will include a meal at an organic farm on the outskirts of the town. We’ll have a short tour of the farm and the attached school. After the tour we’ll be treated to a delicious dinner before heading back into town to enjoy the nightlife! On the 3rd day you’ll have a free day to explore– you could take a bike ride out into the countryside, explore the nearby caves and take a quick dip in the beautiful crystal clear waters of the lagoon. Travel overland by private bus from Vang Vieng to Luang Prabang. Luang Prabang is a UNESCO world heritage city and rightfully so; the countryside, the architecture and the stunning temples make the city truly superb. We’ll have two days here to enjoy a wealth of optional activities including a city tour, a trip to the Royal Palace museum or the Ethnology museum (if you’re interested in the unique history and customs of the population groups throughout Laos). Or you may want to explore and take a dip in the nearby turquoise coloured waterfalls or even take a fun local cooking course! Board a boat for a relaxed journey up the Mekong River. The awe-inspiring scenery and insight into the local way of life in the beautiful, mountainous countryside of Laos makes the journey fly by. Spend the night in the small town of Pak Beng. Take a private bus to Luang Nam Tha. In the afternoon, we'll have the opportunity to visit the local hilltribe communities and learn about their rich culture and history.Lunch and dinner will be included here, as we’ll be staying with local families. Enjoy the hospitality, stunning landscapes and potent local rice wine! Enjoy the morning at the homestay before heading to Huay Xai – the sleepy little border town close to the golden triangle (where the borders of Laos, Thailand, Burma and China converge.) Take a trip to the picturesque temple on top of the hill, or even end it with a relaxing traditional Lao massage! Cross the border into Chiang Mai in Thailand where the tour ends. Laos is an easily accessible country, you can cross from numerous countries or fly into Vientienne from a SE-Asian city like Bangkok. Participating on an international volunteer program here is a great way to see how local people live, its a beautiful country and there will be lots of time for you to travel and experience the highlights. If you would like to volunteer in Asia and visit a really beautiful destination which is more challenging than other more touristy destinations then you will really enjoy being in Laos. This is not a country to take a relaxing beach break for example, for a start there are no beaches but this country offers great value and more local experiences away from globalisation. You can join educational and community based programs help friendly local people have a better future or you might like to teach Monks or help at orphanages. If you are passionate about helping wildlife there are several meaningful of conservation projects available. Search structured, free and low cost projects in Laos and apply today. 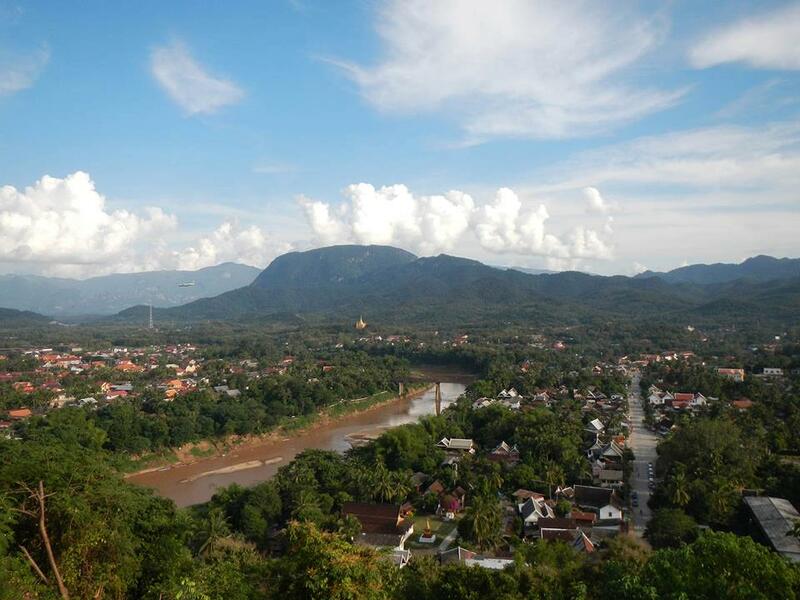 Placements can be found in cities like Vang Vien and Luang Prabang which are popular tourist spots and great places to visit. You can join projects in more rural areas where you will see how locals live integrating into the society. There are lots of places of interest to visit in Laos including Luang Pra Bang which is a spectacular. The capital city Vientiane has interesting architecture but is a quite quiet city for a capital, there aren't any places which will take your breath away. International charities and local NGO's have years of experience helping place volunteers on projects in Laos, there is a population of around 6 million people and a lot of people especially in rural areas live in poverty or need help. On community based projects you can really help people and provide much needed assistance, this will be one of the most rewarding challenges you can face in your life. If you would like to have a hands on experience consider teaching or coaching sports, you will get to work at schools and community centres. There are also work experience available with business development and English teaching placements. Try to learn from the more experienced leaders, you will be impressed by their knowledge and past experiences - some will have been living in Laos for a long time. Some of the most popular placements include teaching English to monks and also helping out at local orphanages. When teaching English to Monks you can expect a really fun learning exchange, they are very keen to learn English and will be fascinated by you and where you come from. No previous experience is needed to apply for most non-skilled placements. 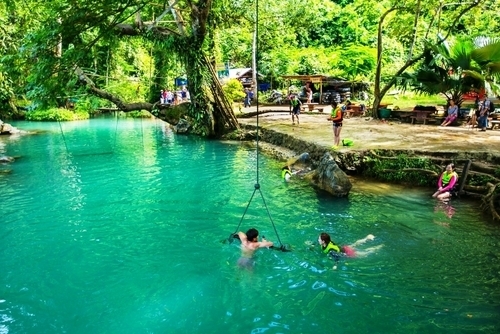 Help to rejuvenate a community in beautiful areas of Laos. Opt to work at a day care centre or a school and assist with a range of tasks from teaching English to helping decorate the buildings. As a volunteer you can choose to help at government run primary schools, working with underprivileged local children or assist at day care centres for pre-school children looking after the young ones and ensuring they are cared for and healthy. Promoting basic hygiene awareness amongst children. 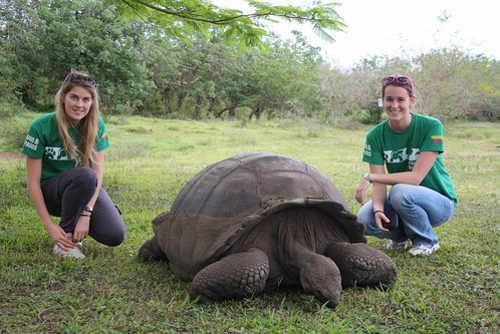 There are some wildlife rescue and rehabilition centres which accept international participants to help out. You’ll be able to get hands-on with the daily care and preservation of local animals, with some days free each week which you can use to explore the local area. Tasks can include washing animals, walks, creating enrichment games, cleaning enclosures, getting food, helping eco gardens, making fertilizer using elephant dung, inspect and repair enclosures, go to town for food shopping, provide clean water, upkeep and maintenance of project site, promote the project on internet, contribute to keeping the accommodation clean and helping to educate locals. When participating on volunteer programs in Laos you will usually work around 4-6 hours per day (this can depend on the placement though). You will also get 2 days off a week so you will get lots of time to explore, you could go kayaking, rafting, search out waterfalls or visit some of the spectacular temples dotted around the country. Totally flexible and can be booked over a year in advance, you can start every month of the year and there is no best time to start. Check recommend vaccinations before departing and any medication which might be needed for rural placements. Please note living conditions in Laos might not be what you are used to, be open to the culture and friendly to local people, a smile goes a long way. We recommend you learn basic Lao words and phrases, this will really make the experience more enjoyable and easier. A lot of local people also speak French so if you know some great, if you don't pick up a guide/phrase book. Food and drink is very tasty and cheap in this country. Be sure to try the local sticky rice and also Beer Lao - this is the National beer. Sometimes especially during summer it gets very hot and humid so be sure to buy lots of bottled water. Hotels are very cheap in Laos but generally you will be provided with shared accommodation with other participants. Sometimes there are also home stays available which are a great way to live like a local. There are also free and cheap volunteering opportunities available where you might only need to cover the costs of meals and lodging. You can apply by searching the organisations, NGO's and charities we have listed. Some placements come part of structured packages which include transport, meals and accommodation - these will require you to pay a fee to join. If you need any help applying people get in touch. To join most organisations will require you to be in good health and have a positive attitude to working in a new culture. A minimum of 2 weeks is usually required to join a placement but shorter and longer placements can be booked.